You probably know the Arizona Cardinals have the top pick in this year’s draft. You also probably know exactly where your team in picking in Round 1. But keeping track of each team’s picks after that can get a bit murky. There are a total of 254 picks in this year’s draft, and if you haven’t memorized where your favorite team will be picking in each round, you’re in luck, because we have the full draft order below. Basically, you’re going to want to bookmark this page so you can keep tabs on the full order, which could end up changing if there’s any trades between now and the start of the draft in Nashville on April 25. Before we get to the full order, let’s cover some quick facts about this year’s draft, starting with Arizona. Not only do the Cardinals have the first pick in the draft, but in a rarity, they also have the last pick, which means — barring a trade — they’ll be selecting Mr. Irrelevant this year. 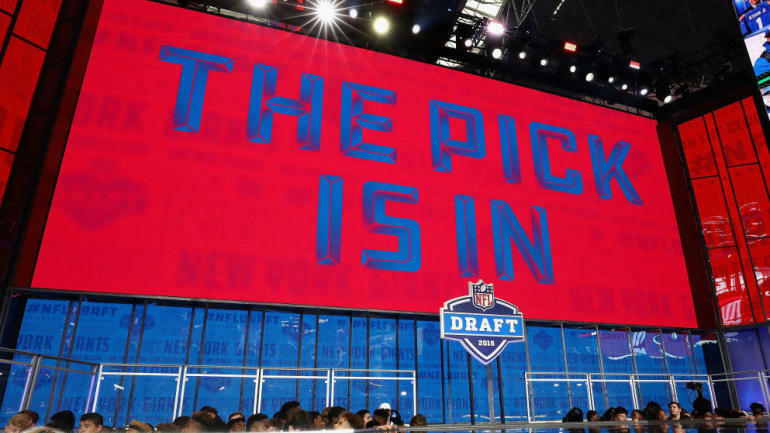 The two teams with the most picks in the 2019 NFL Draft are the Giants (12) and Patriots (12), followed by the Bengals (11). The team with the fewest picks this year is the Seahawks (4), followed by the Bears (5). As a matter of fact, if you’re a Bears fan, you can basically ignore the first day of the draft and that’s because the Bears won’t be making their first pick until the third round. Along with the Bears, there will also be three other teams sitting out the first round this year barring a trade (Browns, Cowboys, Saints). Without further adieu, let’s get to the full order.